I’m fascinated with volcanoes. I’d love to see ten volcanoes before I die. I’ve already seen Stromboli, Mt Etna, and Vesuvius, so just seven more to go. It has to be everything I learned about narrative structures. It’s been invaluable in my adult life. Don’t compare your journey to others, because it’ll only make you crazy. Everyone’s path to publication is different. 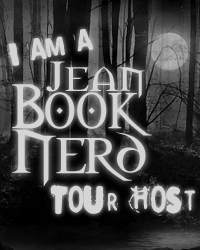 In your new book; Black City, can you tell my Book Nerd community a little about it? What was one of the most surprising things you learned in creating Ash? That he likes to dance! I assumed Ash would be the sort of guy who would just sit back and watch others dancing rather than join in, but there’s a dance scene in Phoenix (Black City book #2), and he whispered to me that he wanted to get up and bust some moves. I just couldn’t get Ash out of my head. I became obsessed with the idea of a supernatural boy who got a heartbeat when he met his Blood Mate, and I HAD to write it. I’ve always loved, dark, gothic and dystopian stories, so it was inevitable this would be the world Ash would inhabit. 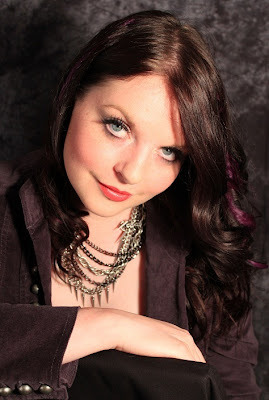 For those who are unfamiliar with Natalie, how would you introduce her? Natalie Buchanan is the youngest daughter of Emissary Buchanan. On the surface she’s a typical Sentry brat - spoilt, rich and intolerant. But beneath her public persona is a curious, damaged, lonely girl, who is still grieving after her father was murdered, and will do whatever it takes to protect her sister. No, mainly because I work in my living room or in the library, so there’s nowhere to put any inspirational messages! If you could introduce Ash & Natalie to any character from another book,who would it be and why? I’d introduce them to Tris and Four from Divergent. I just think they’d really get along! I’m certain Ash and Natalie would be Dauntless. I’m currently putting the finishing touches to Phoenix (Black City book 2) and drafting book #3 of the series. Then after that, I’ve got an idea for another dystopian series with a sci-fi twist, so I’ll be working on that in the New Year. I can’t wait! Write what you like to read. Your natural voice will only come out when you’re not trying to force it. If you’re trying to write in a genre that you don’t particularly enjoy, and are only doing it because you think it’ll sell, then your voice will sound flat and forced. So write what you love. Your enthusiasm and knowledge of the genre will naturally shine through. Oooh, I’ve been to so many amazing places. I loved New York, because it’s where I go engaged, so that city holds a very special place in my heart. And I absolutely adored my holiday to Barbados a few years ago. I went with my mom and two sisters for a girly holiday, and we had a total blast. We all loved it there – it was paradise! The Casual Vacancy by JK Rowling. Gosh, that’s going back a bit! I guess it would’ve been a boy named Nicky, who I met at middle school. We dated for a few weeks – which at that age is considered ‘serious’. We went out on a few dates, held hands around the school and gave each other gifts. Then it obviously fizzled out because we were only like twelve years old at the time! Well, if we’re talking a little peck on the mouth, then it happened when I was about 8 years old, and my mom’s friend brought her three boys over to play with us. I was totally smitten with the eldest son (who shall remain nameless, to save his and my embarrassment. Oh, and btw he was only like a year older than me, so this isn’t a creepy tale…). And we were playing hide-and-seek, and we hid out in the garage. And I don’t really recall how it happened, but I just remember my heart racing a mile-a-minute as he leaned down and kissed me. At the time I thought it was THE most romantic thing in the world. My first ‘proper’ kiss though...hmmm, it wasn’t so good. My sister—who had previously dated the boy in question—nicknamed him Plunger Boy. I think that sums it up really. I worked at a perfume counter in a department store. I hated it. The smell of the perfume gave me constant headaches and I’m not really a people-person, so I wasn’t exactly the most helpful sales assistant. Randomly, it was from Orange letting me know I can get 30% off tickets for the Allstars of Darts. I’m actually tempted. Darts is my kind of sport. You don’t have to be fit, and you can drink beer while doing it. Yesterday! I was watching War Horse, and I started blubbing after the first 30 seconds of the movie. I’m a real sucker for movies featuring animals – they really pull at my heartstrings. Elizabeth Richards’ highly original post-war love story, Black City, tells the remarkable story of forbidden love between two sixteen-year-olds from opposite sides. Living in a world where Darklings and humans are separated, worries and stress between the two races remain fresh as the days during the war. Hald-blood Darkling Ash Fisher and human Natalie Buchanan manage to surpass the strain and fall in love—something that is forbidden. This is especially true for Natalie since she is the daughter of a high ranking official. Drawn together through a special bond, the two knows that their deaths lay ahead if they are caught. They can easily turn their backs on each other and walk away but their feelings are too strong to ignore. The world inside Black City that author Elizabeth has created is nothing short of spectacular. Readers will find this captivating story and its memorable characters a welcoming invitation to its dark world of intrigue. Cities are divided between working class people and the Sentry humans who govern everything. Massive wall structures separate the humans from the Darklings. Elizabeth’s writing style will grab readers by their wrists and lead them straight to the core of the story where they will be immersed into its beautiful dark element. The plot is highly gripping and its twists and surprises will have readers glued to the pages. Black City comes to a shocking ending and only feeds the desire to want more. Thank you Elizabeth for making this giveaway possible. 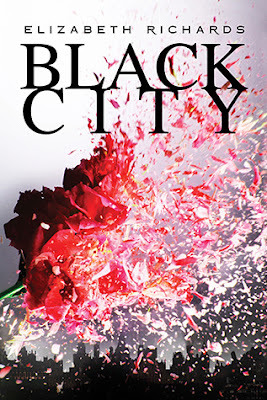 1 Winner will receive a Copy of Black City by Elizabeth Richards. Thanks so much for the giveaway donation! Excited about this one! Thank you so much Elizabeth for your wonderful donation and for taking part in this interview! Thank you Elizabeth for your donations. Hope to have your book and read it, it will perfect! I love it! I got to have this one! Thank you for the giveaway! I can't wait to read Black City. I'm so excited for this giveaway.Thanks so much to you both for making this possible. Thank you for your this awesome giveaways Elizabeth and Jean! Thanks for the interview you both!!! And ummmm interesting choice of characters to meet... Just how Dauntless her main characters are huh?? What an amazing giveaway, the books sounds amazing!!!!! thanks!!! Thank you so much for the giveaway Elizabeth! The cover is absolutely gorgeous and the story sounds incredible! I am honoured to be able to potentially win a copy of your book! Thank You so much for the giveaway this book looks amazing!!! Definitely a book I would love to read! Thank you for the opportunity to win a copy! Thank you! Can't wait to read the book! Thank you! I know ill love the book! Thank you Elizabeth for your donations for the giveaway! Thanks for the donations to make this giveaway possible! Thank you for your generosity, Elizabeth. I've read good reviews on your book. Hope to win a copy! Thank you so much Jean and Elizabeth for this giveaway!!! Thanks Jean and Elizabeth for this amazing giveaway.